TheFatGuy would like to hear your AHA! Moment. Tell him and all about it in the comments below. Our stories are powerful, and yours could be just the ‘spark’ someone else needs to get moving forward and ‘keep’ moving forward. As TheFatGuy takes a moment to reflect on the events surrounding his AHA moment, it all seems very surreal that he is presenting his story to people, doing a ‘photo shoot’, and being involved in so much in life now. He took a moment to look at the above picture of him in February of 2009. It was a tough time for him mentally, physically, and emotionally. 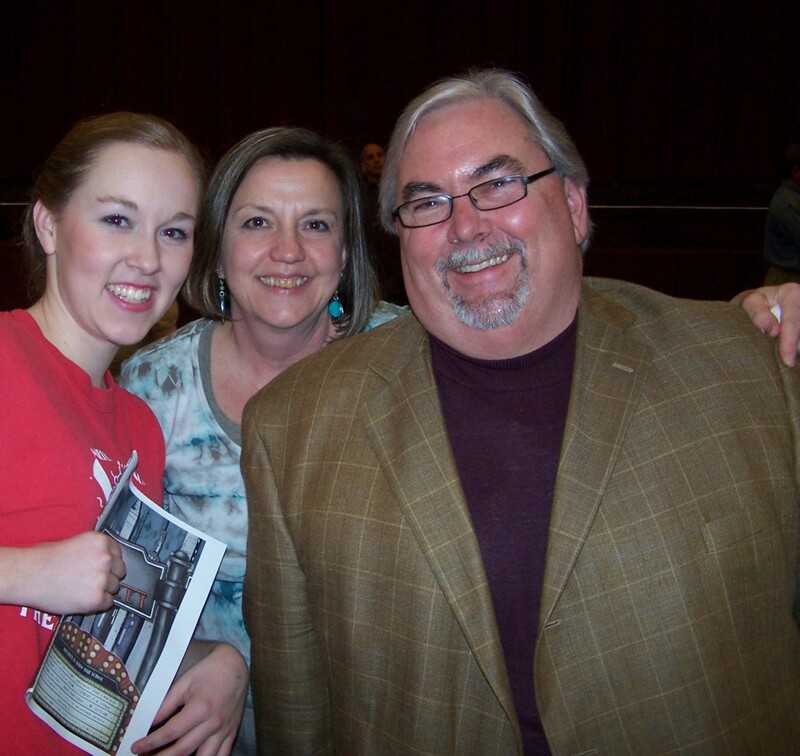 The picture shows him with his wonderful niece and lovely wife at a production of 42nd Street at Wando HS that month. He hardly fit in the theater seats, did not feel good in his own skin, and was as unhealthy as he had ever been. He remembers it like it was yesterday! TheFatGuy knew immediately it was a significant story, but it took about three weeks for it to bounce around in his thick skull before all the pieces fell into place to start his journey on March 2, 2009. He knew is was not good at taking care of himself so how was he going to help anyone else in his life. Polly’s story lead him Out of the Fire! He is thankful for her inspiration and the great places his journey has taken him thus far. Note to ME and YOU: You never know who will impact you and when! Or who you will impact and when! An encouraging word or story could be the acorn that becomes the Giant Oak tree! Out of the Fire, The Fat Guy! Note: Be sure to subscribe to the comment thread below to see the LATEST AHA MOMENTS! Great AHA moment. Thanks for sharing. An Amazing AHA moment from an Amazing Couple! Great AHA Moment!! Thanks for sharing. Looking forward to seeing your continued success.